All of the fun isn't had by the outdoor enthusiasts. Shopping in Lake Tahoe is a great way to explore Lake Tahoe's local charm. Truckee, Tahoe City and the resorts display local artists and commercial merchandise alike. 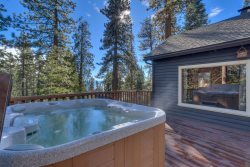 Whether you are looking for new designer names, or that special unique Tahoe gift, the shops in North Lake Tahoe are sure to have what you are looking for.